Crock-Pot 6-Quart Slow Cooker Just $24.94! Down From $44! You are here: Home / Great Deals / Amazon Deals / Crock-Pot 6-Quart Slow Cooker Just $24.94! Down From $44! Amazon is offering this Crock-Pot 6-Quart Slow Cooker for just $24.94 down from $44.40 PLUS FREE shipping with Amazon Prime or for orders $25 or more! 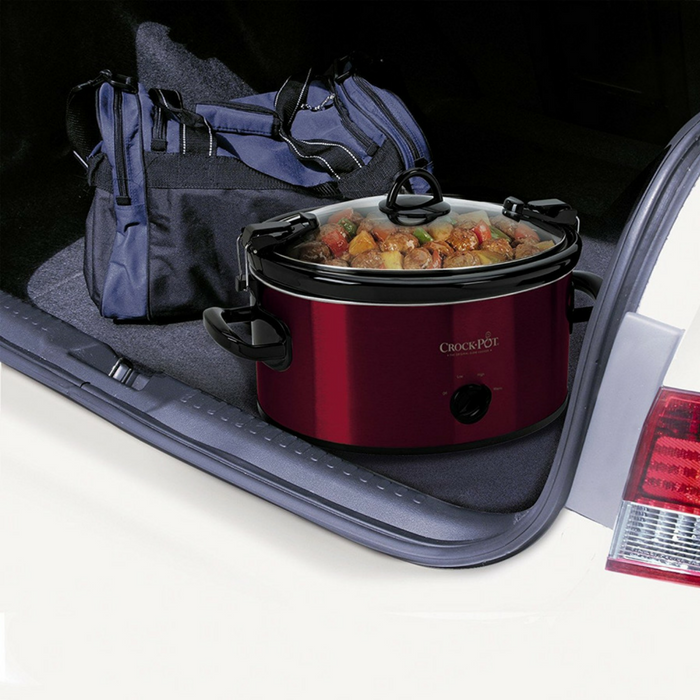 The Crock-Pot Cook & Carry Manual Slow Cooker is convenient for travel, potlucks, family gatherings, tailgating, parties, and just about any time you need to transport food prepared at home. The removable stoneware also doubles as a serving dish. It features high and low settings for flexible cooking times, and a warm setting to keep food at a good serving temperature so the crowd can enjoy your cooking whenever they wish. A dishwasher-safe insert and glass lid make cleanup quick and easy.